Want to give an HK91 rifle in your arsenal best-in-class KeyMod capabilities. The 12" HK91 Rifle KeyMod Handguard for Firearm Use from AIM Sports is the perfect product for you. Featuring a sleek streamlined design, this ultra low-profile handguard is equipped with generous mounting space to accept all KeyMod accessories. 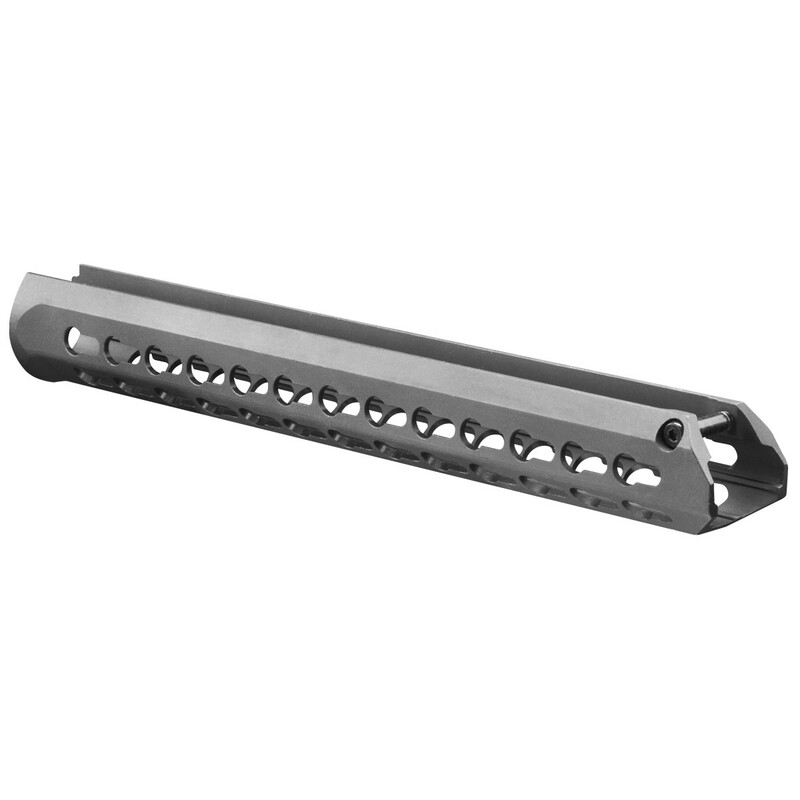 Its superior ergonomics and simple, drop-in installation set it apart from all other HK pattern rails on the market. Simply drop this mount in, and you'll be ready to go in seconds - no gunsmithing required! 5 KeyMod rows give an incredible range of modification options. But modification capabilities aren't the only thing this handguard rail brings to the table. The AIM Sports 12" HK91 Rifle KeyMod Handguard for Firearm Use is manufactured from 6061 T6 aluminum for incredible lightweight toughness and finished with a black anodized coating for extra all-weather durability. No matter what environment you'll be using this handguard in, it's up to the challenge. (Note: Model is for rifle-length variants only.) Order the AIM Sports 12" HK91 Rifle KeyMod Handguard for Firearm Use here at Airsoft GI today!